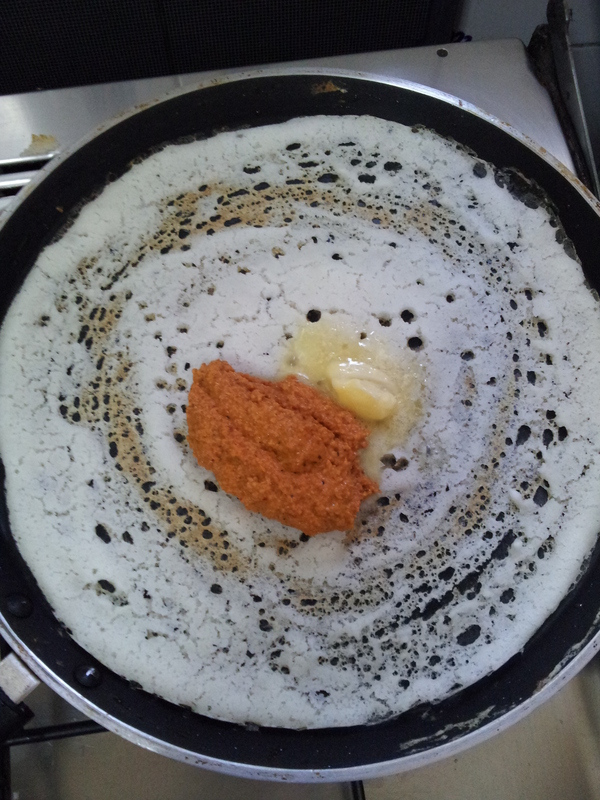 Mysore Spring Dosa | My Cooking Diaries "CooklikeCecilia.com"
Dosa batter as per ‘Sada dosa’ https://cooklikececilia.com/sada-dosa-sambar-chutney/and Mysore chutney https://cooklikececilia.com/mysore-sada-dosa/as per Mysore sada dosa. 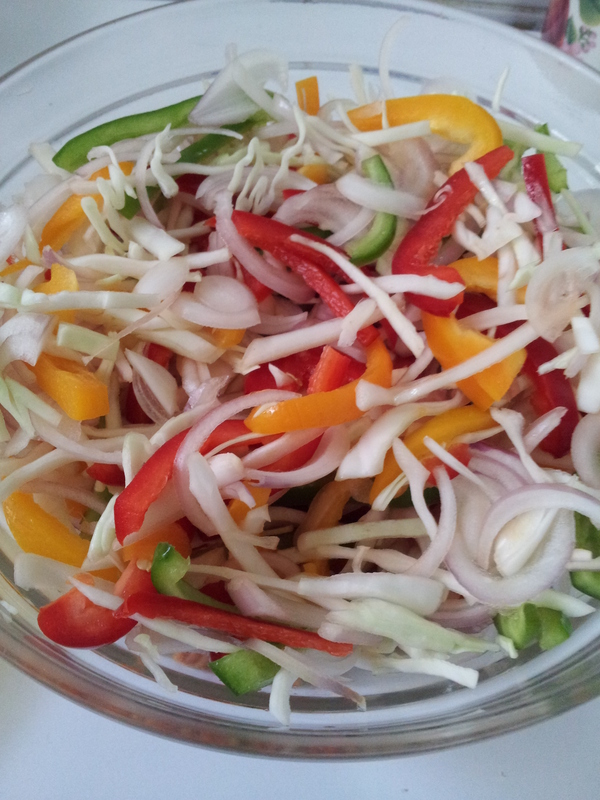 Chop onions, capsicums and cabbage into long pieces. 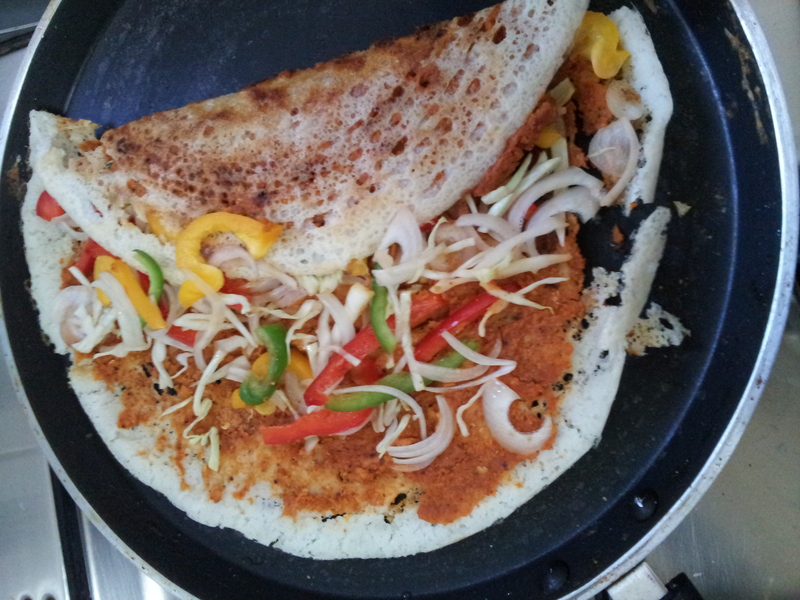 Grease a tawa or dosa plate and heat it. 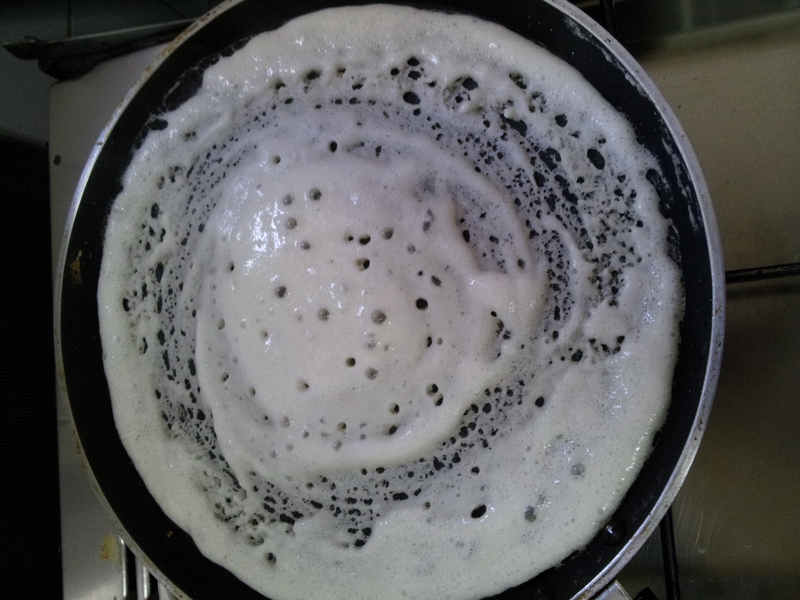 Pour two ladles of the dosa batter and spread with the back of the ladle. 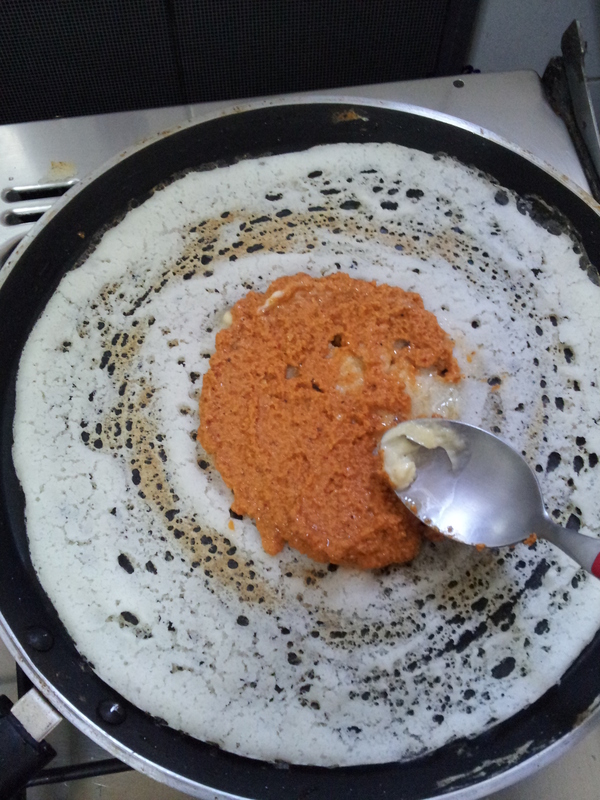 Mix mysore chutney and butter and apply it on the dosa while it is still on the tawa. 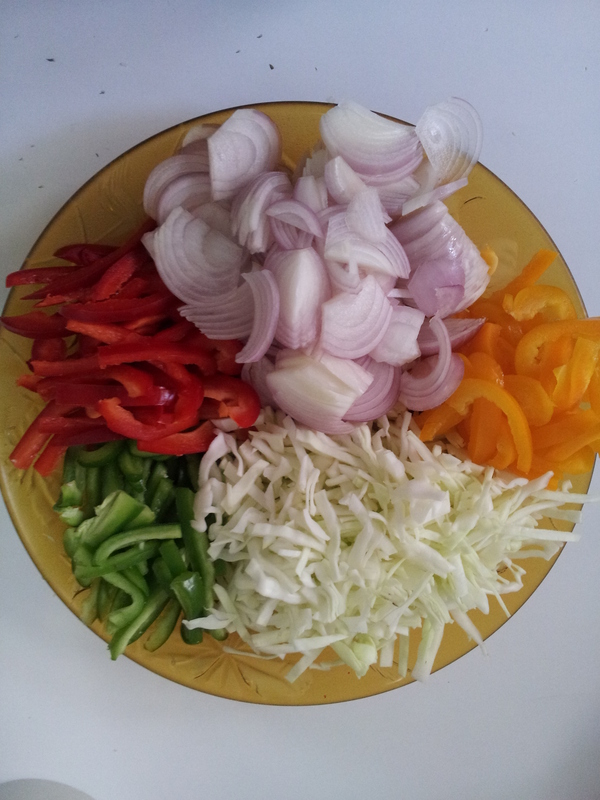 Spread the chopped vegetables on top. 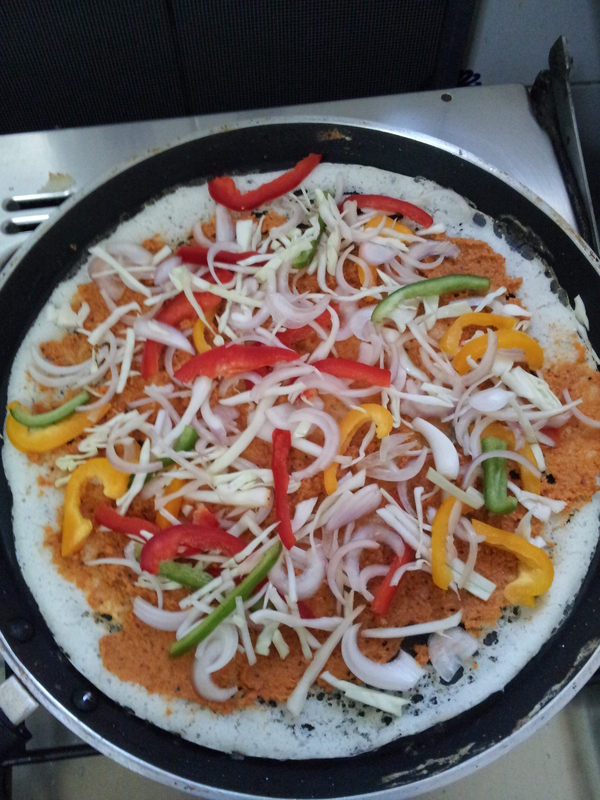 Sprinkle chaat masala powder over the vegetables (optional). 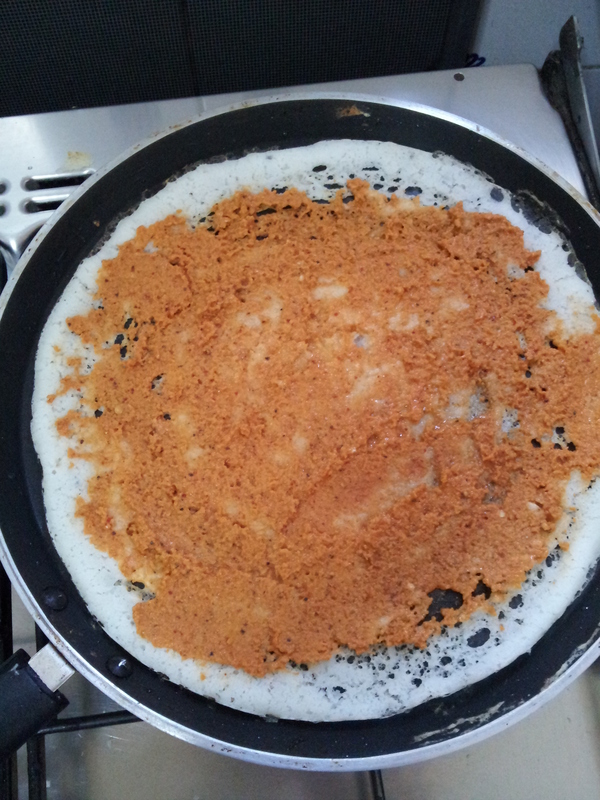 Cook till dosa is golden brown in colour. 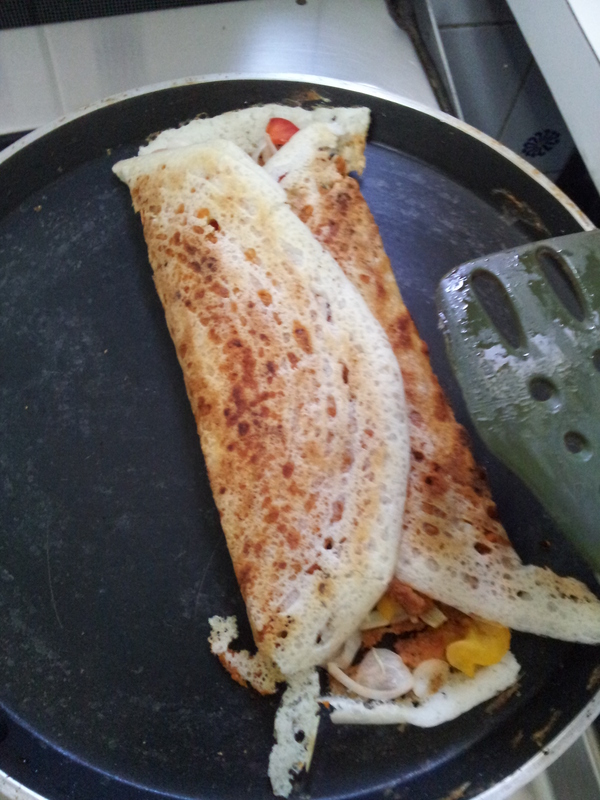 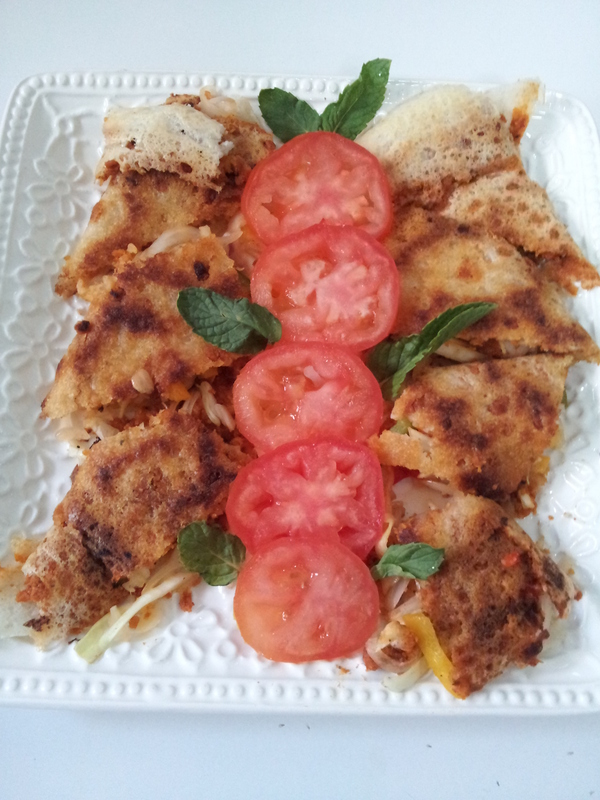 Roll dosa over into a cylindrical shape and cut into small pieces. 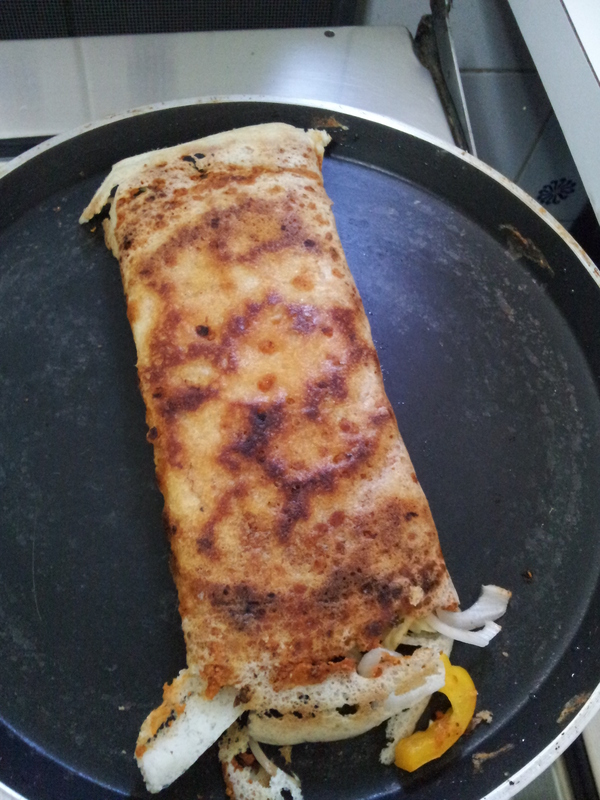 Repeat with remaining ingredients. 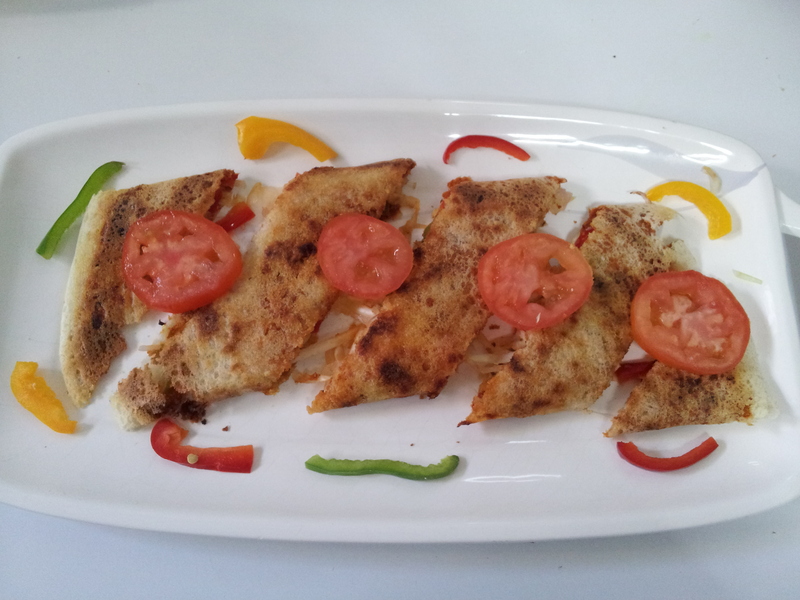 Cut into wedges and serve hot.